Beds were comfortable, kitchen well equipped, hot water nice, washing machine, balcony large and shaded, wifi reasonable fast, pool super clean. No tobaco smell in apartment. What impressed us most was the cleanliness of the facility. The location is very good; off the main drag far enough to be quiet, yet close enough to have easy access to everything. The beach was only a short walk away. Would highly recommend this residence. The apartment was a good size. The internet worked. I liked everything. Great value for your money, all neat and clean, owner super friendly. This is my favorite in terrenas. This was a spacious, bright, comfortable, spotlessly clean and well located apartment in which to spend 22 nights. 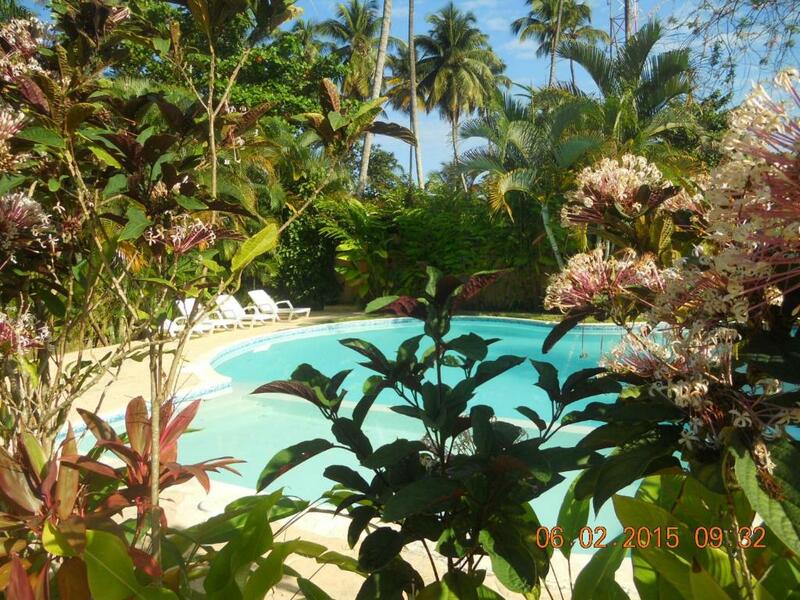 The property is well maintained and attractive. Very nice villa. It was very clean and had everything we need for a 3 day stay. The pool was ckean. Very quiet area. I will defitinely recommended this villa. We stayed in Las Terrenas for the 2nd time (first time in a different hotel) and I selected this place due to the ratings on Booking.com and the location. Everything we love in LT is close by. Great beaches, restaurants, night clubs, supermarkets, fresh fruit and bread. We found it a great and safe place to stay. Last but not least, Regis is a great host, very friendly, helpful and reliable. Very friendly host. Very Clean. Big Appartement. Clean Pool. Everything was nice! It was a quite place secured parking and a short 1 minute walk to restaurants and the beach was just a bit farther. Very specious and quiet with nice garden and swimming pool. Beach is just 10 minutes walking distance and parking is in front of the apartment behind the secured gates . Great for families too. Playa Bonita 10 minutes with the car. Lock in a great price for Caoba – rated 8.9 by recent guests! Caoba This rating is a reflection of how the property compares to the industry standard when it comes to price, facilities and services available. It's based on a self-evaluation by the property. Use this rating to help choose your stay! 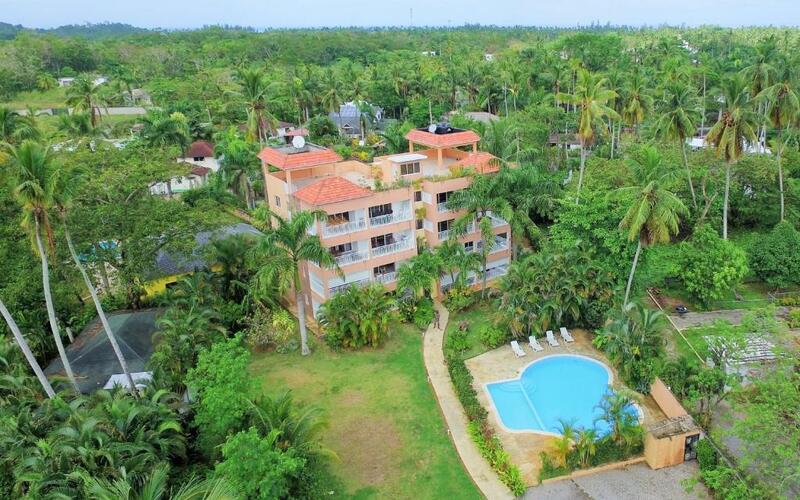 One of our best sellers in Las Terrenas! 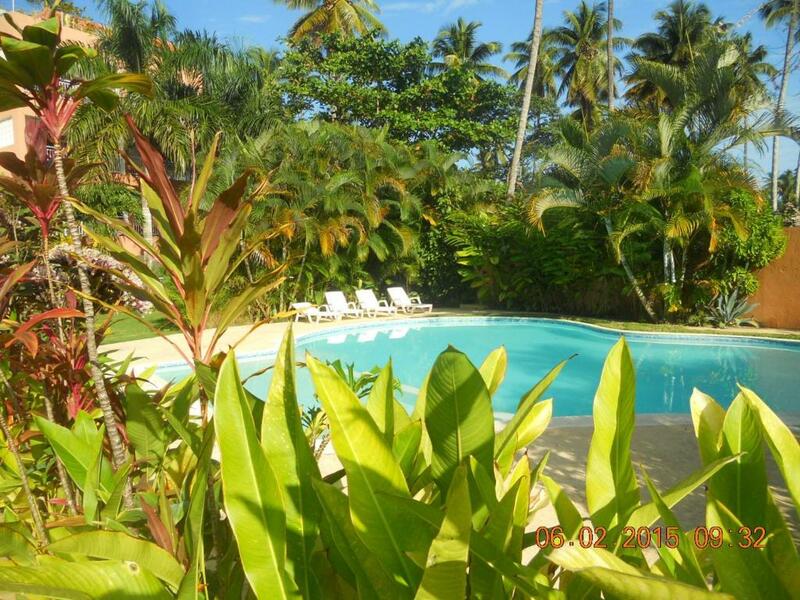 Located in Las Terrenas, Caoba offers its guests an outdoor pool and a terrace in the garden. This self-catering accommodations features free Wi-Fi. This bright and modern apartment features an equipped kitchen, dining area and a private bathroom with shower. Caoba also features free parking on site. There are several restaurants within just 650 feet of the property, and the popular Playa Ballenas beach is only 1,000 feet away. 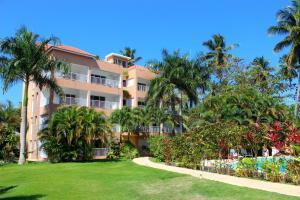 This property is also rated for the best value in Las Terrenas! Guests are getting more for their money when compared to other properties in this city. 뀐 Located in the top-rated area in Las Terrenas, this property has an excellent location score of 8.7! 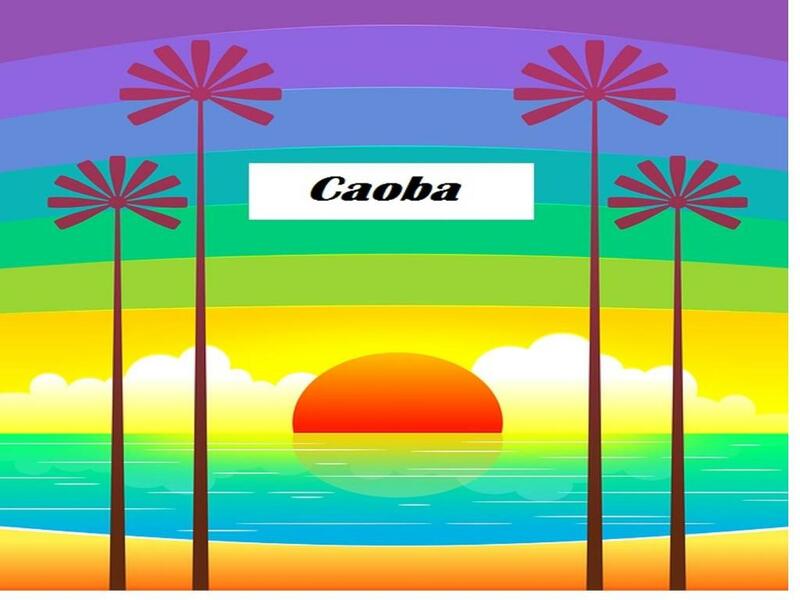 When would you like to stay at Caoba? This bright and modern apartment features an equipped kitchen, dining area and a private bathroom with shower. Cleaning is not included. This double room has a stovetop, washing machine and private entrance. Please note that this apartment charges the cleaning service separately. 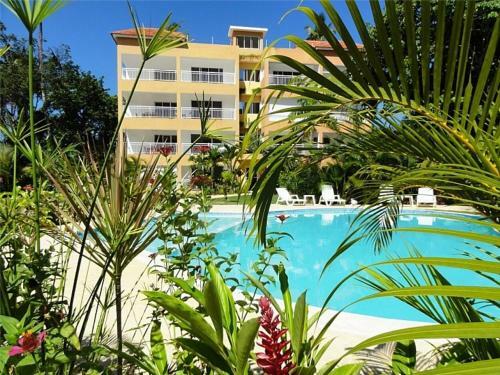 Résidence sécurisée et tranquille, piscine, jardin tropical, parking, gardien Tous les appartements disposent d'une grande terrasse avec vue sur piscine et jardin. Situé à proximité des plages et du pueblo de los pescadores. Un service de bagagerie est disponible jusqu'à l'heure de votre départ. Un supplément par jour en cas d'utilisation de l'air conditionné. Nous vous accueillons sur place et vous remettons directement les clefs de votre appartement. A proximité immédiate des plages, commerces et restaurants. Quartier préféré des touristes. Prendre le chemin à droite situé à l'angle du casino Loteka Columbo et et du magasin de fruit, 30 mètres après l'hotel Piedra Maron, sur votre droite en face de la jardinerie calle nuesta senora el carmen . House Rules Caoba takes special requests – add in the next step! Guests need be quiet between 7:00 PM and 9:00 AM. Please note that the pre-payment representing 35% of the total amount must be done within 3 days of the property contacting you. Please inform Caoba of your expected arrival time in advance. You can use the Special Requests box when booking, or contact the property directly using the contact details in your confirmation. The occasional smell of tobaco smoke when the wind would blow it in to the apartment from a neighbouring unit. 1. Owner was only available on arrival and on checkout. He didn't answer calls or call back when some issues arose. 2. Hot water only lasted for a minute then turned cold. 3. Toilet got clogged and he never returned call. 4. Towels are old looking with stains. (Take your own) 5. Bathroom layout isn't good. Although, toilet is separated by walls from the rest of the bathroom and both have their own doors, the walls don't go all the way to the top. So you really don't have any privacy. The matress could be a bit better. Cold foam mattress would be perfect. WI FI was slow and undependable. The hotel location does not work on the website so we initially were sent to the wrong place. The road the hotel is on is more like an alley and not on google maps so drive slowly orblike us you will have to circke around twice to find it. The hotel sign is faded from the sun so not easy to spot. The internet was not working at all , no hair dryer available and the air conditioning is not included , has to be paid additionally. The decoration and lights are not warm. The internet doesn’t work at all. The apartment wasn’t that clean and Regís, the owner, has not been that helpful. there is really nothing negative about the appartment. i'm happy with my stay and i would definitely book again for future visits. 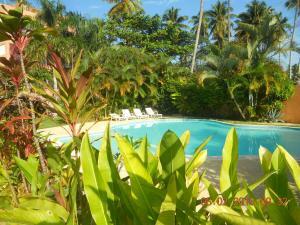 i have stayed in five different properties in las terrenas and for private accommodation this was by far my favourite! I liked all, nothing negative to share. Highly recommended!